Build lean muscle for LONG TERM weight stability. In this article I'll share with you some of the tips and techniques I've used with myself and with my patients to help them shed the pounds in just seconds of exercise. There are many diverse ways of losing weight and excess fat in the body nowadays but for every genuine solution there are hundreds of fad diets, gimmicks, pills, potions and other time wasting hype fuelled crap just waiting to capitalise on people's desire. Unlike many harsh training regime's nothing beats the effectiveness and sheer convenience of Isometric Training for weight loss. Isometric exercises are unique in that they do not change the length of the muscles when contracting. This makes them simple to learn and quick to master. However, don't make the mistake in thinking that just because you don't move and it's easy to learn them doesn't mean you aren't using a HUGE amount of energy. 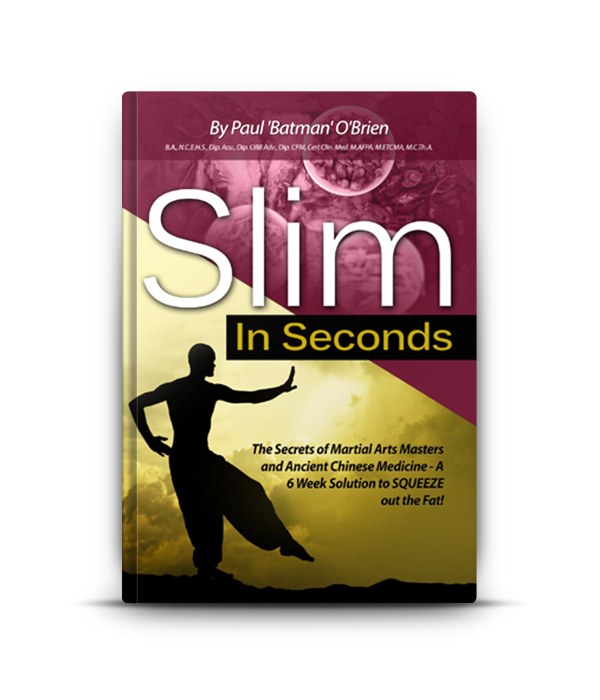 In my dedicated Isometric Program for weight loss, "Slim in Seconds: The Secrets of Martial Arts Masters & Ancient Chinese Medicine; A 6 Week Solution to SQUEEZE out YOUR Fat! ", I actually teach a method of Isometrics that generates a staggering 7,000 kcal depletion per workout. In addition to comfort when exercising, isometrics come with other conveniences like ease of performance. They are easy to do and do not require specialized training equipment. Consequently, they can be performed anywhere and at any time. Isometrics for weight loss are also very effective as the different techniques are designed to exercise diverse parts of the body. To this end, there are isometric exercises designed for the chest, hands, abdomen and legs among other areas. They act to strengthen the muscles in these areas and also burn extra fat and calories which may be deposited here. These can be combined in particular ways to lead to an even greater and higher yield calorie burn. How Does Isometric Training for Weight Loss Work? Several studies , including one by Dr. Wayne Westcott show that there is a fairly sizeable increase in calories used by the muscle to maintain and grow them when exposed to highly intense forms of muscular effort. And as you should know by the many articles (Click for a list) on this site, the single most intense form of muscular effort is...that's right - Isometrics! In other words, the exercise I teach in Slim in Seconds increase protein turnover in the muscle mass, and thus the metabolic cost and energy demand of the muscles can hit as high as 50 kcals per pound of muscle per day. Let me put that in context. Let's say you are an average guy, with 140lbs of muscle and with 30lbs of fat on that too, for a total weight of 170lbs. Let's say you follow the Slim in Seconds workout and use a LOT of your body's available muscle, say 120lbs of it. If you REALLY push yourself hard (and these techniques will make you), you could be looking at a top end of 6,000 kcal burnt in 24hrs. That's equivalent energy of 1.7lbs of fat. (each lbs of fat roughly equals 3,500 kcals). I weighed 190lbs at the start of my own Slim in Seconds experiment. 165lbs of lean muscle. I used close to all of that (including my cardiac muscles during the interval training sections;-D ), but for argument sake let's say 140lbs. I pushed myself to the absolute maximum level possible so roughly increased the calorie consumption of my muscles to about 40 kcal per pound, per day. That's a 7,000 kcal demand of my body in 24 hours. I did 4 of these workouts during the week. - resulting in a total calorie demand of 28,000 kcals. You've been reading Isometric Training for Weight Loss, check out the other Isometric Weight Loss Articles here.